Nestled in the San Bernardino mountains in the picturesque town of Crestline, California, sitting on a flat 8,500 square foot lot above lake Gregory is the site of the next Net-Zero home in the ABC Green Home Project. Architect Chuck Goodman has created a beautiful single family craftsman style, two- story home with meticulous attention to detail. 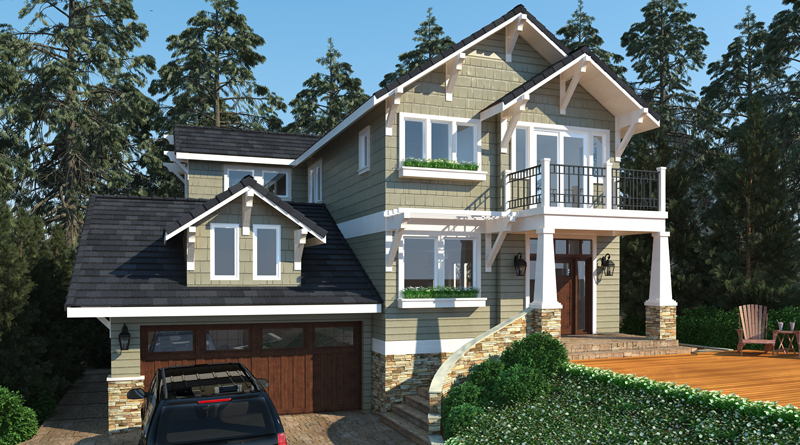 To the unfamiliar eye, this home looks like a nice interpretation of the craftsman style on a mountain lot. Working with Robert Style at CORE Structure and Consultant Engineer Ray McDonald, the three have prepared the engineering design, which includes a conditioned attic and finished basement. Beneath the surface there is a lot going on. For starters, the exterior walls are nine inches thick. Beneath the siding is an inch of rigid foam sandwiched beneath two layers of weatherization membrane by Typar. Between the 24-inches-on-center, two-by-six studs sits the fiberglass insulation, generating an R-rating of 56. Outside, the cold mountain air does not pass through these walls. The heat doesn’t leave the building. A sophisticated whole home ventilation system not only moves the air, but cleans and pressurizes it, too. Indoor air quality is at the front of everything to do with this attractive house, as Interior Designer Jillian Pritchard Cook, President of De-Syn and the creator of the Wellness Within Your Walls Indoor Air quality certification, is rigorous about air quality inside the home. No off-gassing of any nature is permitted. The advanced framing system design incorporates 2” X 6” studs and 24” on-center in the walls, which allows for a larger insulation bay than is traditionally used. 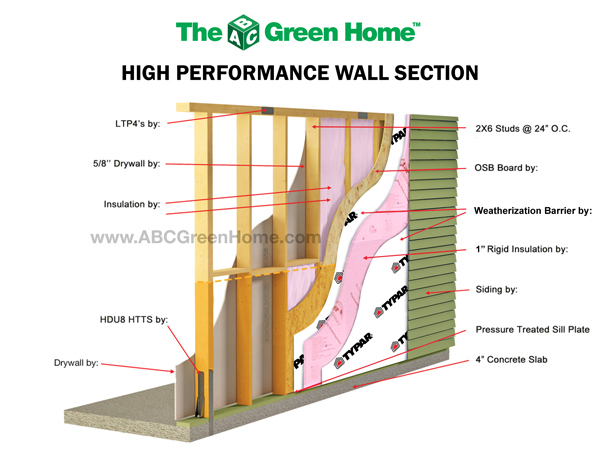 All ABC Green Homes use an additional 1” layer of rigid foam, sandwiched between two layers of membrane, beneath the siding. The exterior walls are 9 “ thick and provide an R value in the 56R range or higher. There is a flow to the interior of the house. The tandem garage is separated at its rear by a door to a mud room and half bathroom. Stairs lead up to the first floor kitchen and living room and over to the cold storage cellar and air conditioned basement utility room. Inside the basement utility are the HVAC system, tankless water heater, hot water circulating pumps and the smart home technology hub which operates the house. The home’s smart systems can all be operated remotely by a smart phone. 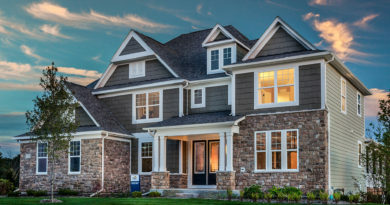 Solar system, battery back up, thermostats, appliances, ceiling fans, security and entertainment systems, door locks, lighting, irrigation, window shades, are all operated by the smart home software and wifi connectivity. The home is a dual-fuel, Net-Zero design, SoCalGas and Southern California Edison are the utilities who serve the city of Crestline. Both gas and electric systems operate seamlessly inside the home. The kitchen is large and features an island and a pantry. The living room has a generous fireplace and a warm textured feel. Above the living room on the bedroom floor are two bedrooms and a full bathroom, as well as the master bed and bath. There is a private porch deck off the bedroom, which overlooks the large deck in front of the house, the forest and the mountains. Above the bedrooms in the conditioned attic is a built in play room and a large, well lit built in storage area. 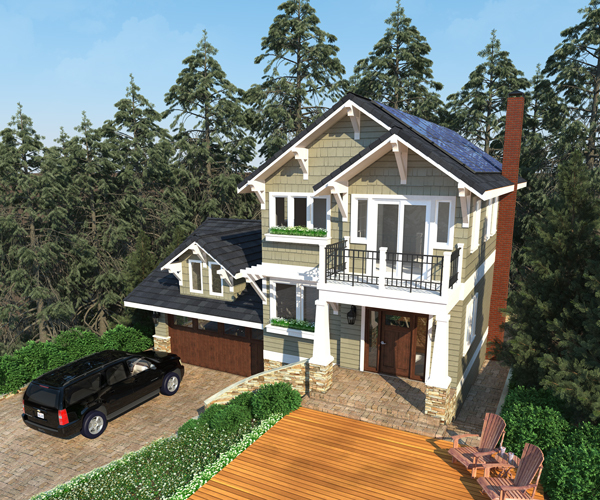 This is a new, Net-Zero LEED home. 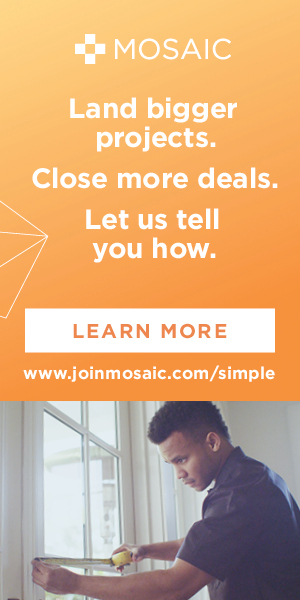 Designed for home owner comfort and convenience. The home’s design and features are carefully considered for a modern family’s requirements, while also ticking every box on the smart home and sustainability spectrum. While the home retains its charming original brick fireplace and chimney, as well as its mountain and forest views over the Lake Gregory area, it will feature a brand new floor plan and elevation…the new, single family home will reflect 92 percent new construction. The ABC Green Home team will be sharing the details of the designs of all of the systems in the home: civil, architectural, structural, MEP, and smart home technologies and interiors. 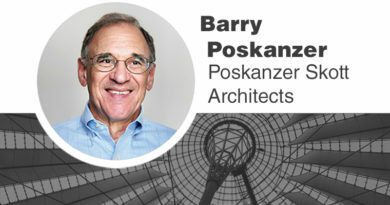 We will be showcasing each of the design team participants across the U.S. home building industry. 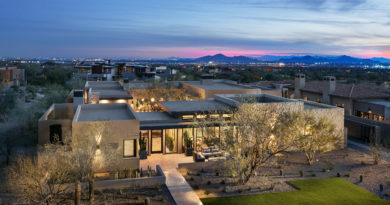 Each of the manufacturers whose products are being used in the The home is being built to a multitude of the highest standards: LEED, RESNET, the DOE’s Zero Energy Ready Home program, Wellness Within Your Walls, Home Innovation NGBS Green Partner program, Water Sense, and ENERGY STAR®. 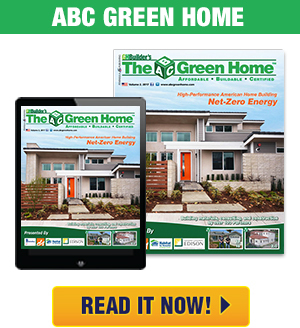 The ABC Green Home project began in 2011 with the first award-winning home built at the Great Park in Irvine, Calif. Over 30,000 people toured the home on-site and an additional 100,000 took the virtual tour, still available on the web site. Following that tradition, there will also be a virtual tour of this home, featuring links to the manufacturer’s and design team’s web sites. 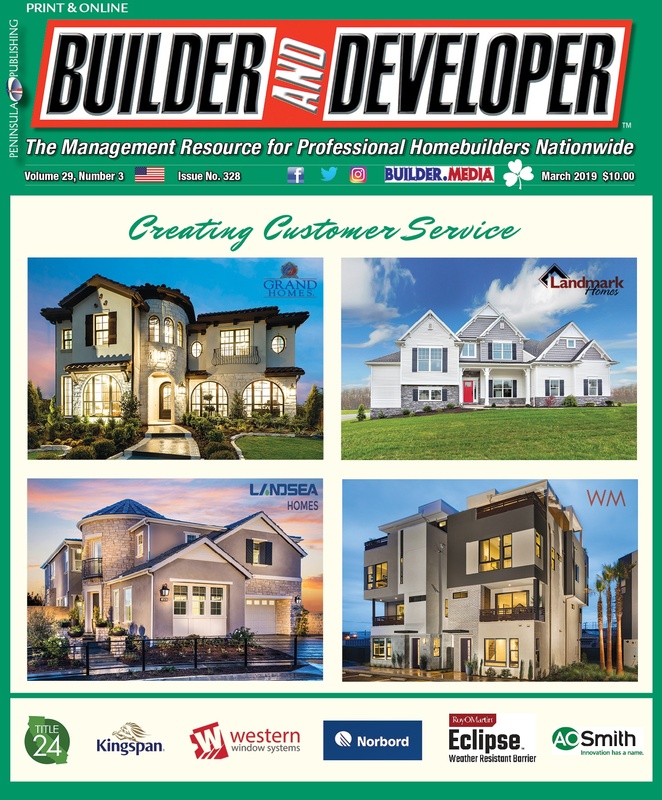 We build these homes with the exact same materials you see advertised on the pages of this magazine. Everything is available, nothing is made from unobtanium. You can participate in this build and the other ABC Green Homes in the project live from the web cams at www.abcgreenhome.com. If you would like us to showcase your materials in the home, drop me a note. 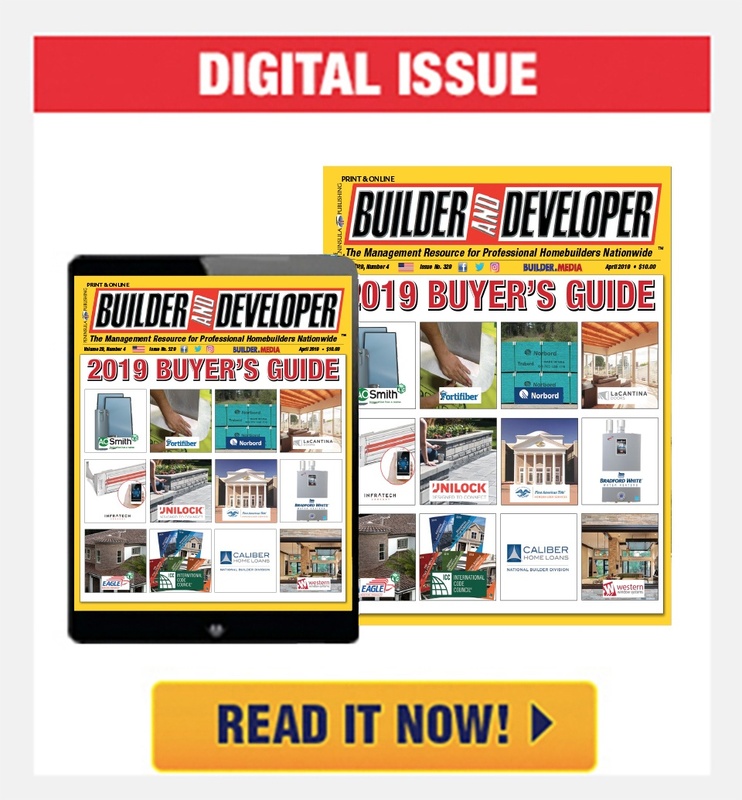 Nick Slevin is the Publisher/Editor-in-Chief of Builder and Developer magazine. If you are interested in learning more about the project or participating, please contact him at nslevin@penpubinc.com.